A fun and unique way to beautify the mitzvah of challah. For Parashat Noach, beautify the mitzvah of challah. Turn it into full color. The Jewish people were given the Torah and the commandments contained therein. The sages believed that it was appropriate to beautify the commandments by going above and beyond what was required. They based this idea on the verse, “This is my G-d, and I will exalt Him” (Exodus 15:2). Beautifying the commandments, called “Hiddur Mitzvah” is done by putting your whole heart and soul into the performance of the commandments. By keeping the commandments in such a manner we exalt G-d. There are many ways to beautify the commandments; one tradition my family has to bake special challah for Parashat Noach. On Parashat Noach instead of making regular challah, we celebrated the Sabbath with rainbow challah! 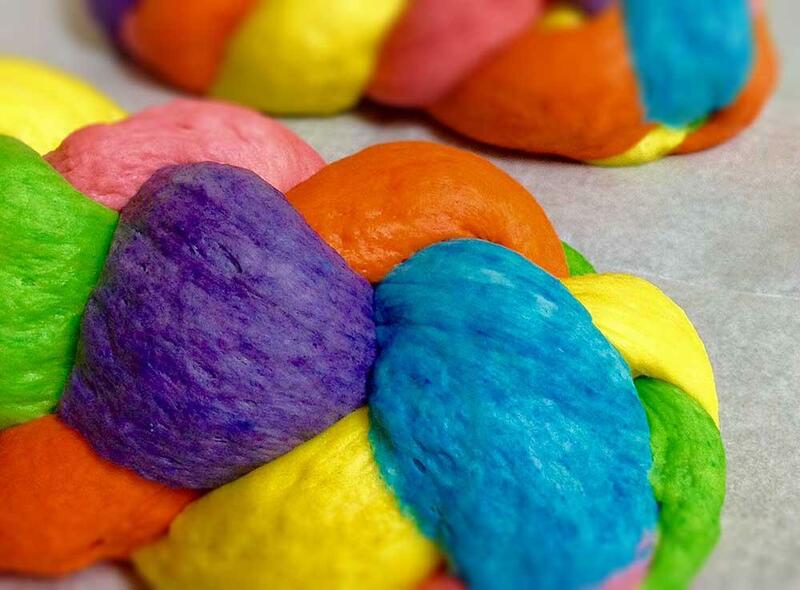 You can use your favorite challah recipe and just add food coloring after first rise or follow ours. Add all ingredients to large mixing bowl, mix, knead and let rise until doubled in size. Once the initial rise is complete divide dough into six equal portions. 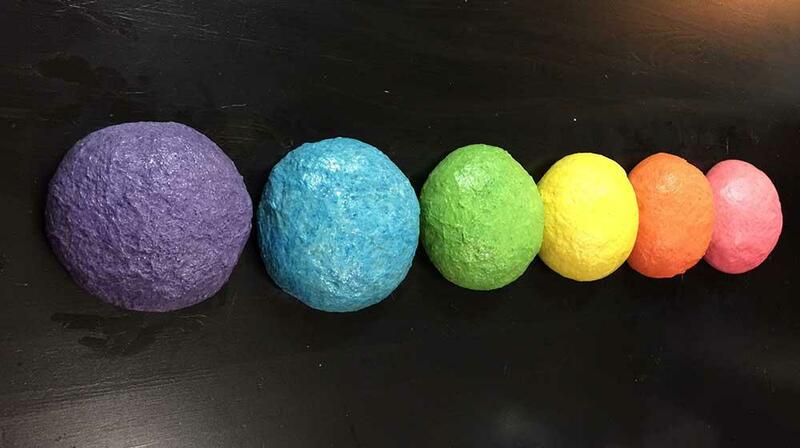 Work food coloring into each of the six portions of dough, one for each color of the rainbow (red, orange, yellow, green, blue, purple). Depending on how many loaves you will be making divide each colored portion of dough (if you are making two loaves divide each color into two portions). 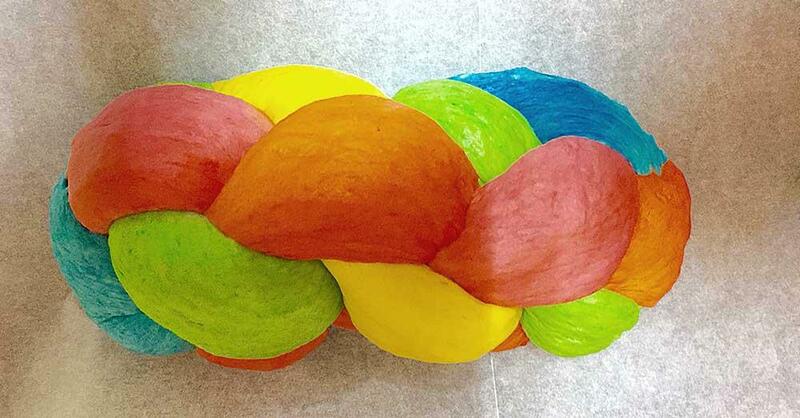 Roll out each color for braiding, braid. Once your loaves are braided, let rise again for 30-45 minutes. Heat oven to 350 degrees, egg wash braided loaves and bake for approximately 15-30 minutes depending on size of loaves. The loaves should sound hollow when knocking on the bottom of a fully cooked loaf. While loaves cool mix the powder sugar with water to form the glaze. Glaze should be thin and able to be drizzled onto the loaf. Glaze the loaves. For added color you can add colored sugar sprinkles - the kids love it! 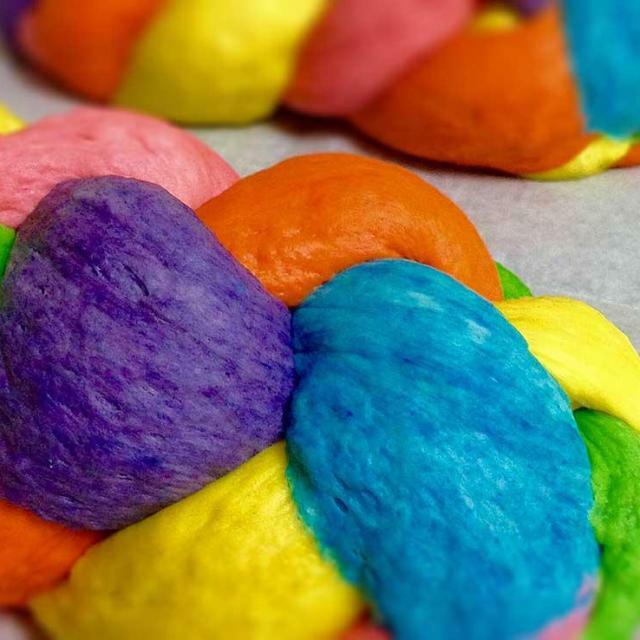 This is fun and a unique way to beautify the mitzvah of challah. Enjoy!